Does Your Work Injury Qualify for Medicinal Marijuana Treatment? Chronic Pain is an unfortunate result of a serious, work-related injury. A growing way to treat this condition is with medicinal marijuana. This may come in the form of regular marijuana or synthetic marijuana. Of the fourteen states in the US that have approved medical marijuana, New Jersey's laws on the alternative drug are some of the strictest. To qualify for a medical marijuana license, you must have a debilitating condition specified by New Jersey's requirements. 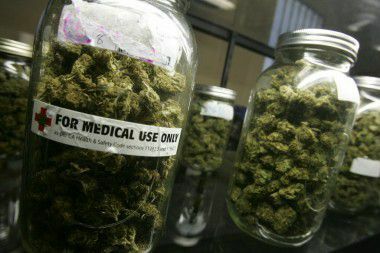 If you are a New Jersey resident interested in applying for a medical marijuana license for your work-related condition, such as chronic pain after an accident or an illness due to occupational exposure, it is important that you speak with your physician and workers' compensation attorney to see if you qualify and if the treatment of your condition with medicinal marijuana will be covered by workers' compensation insurance. Manfred Ricciardelli, Jr. is an experienced workers' compensation attorney with over twenty years of experience. Workers' comp is a difficult and confusing area of law, but with his knowledge and experience, Mr. Ricciardelli can help you get the compensation and treatment you deserve. For a free consultation, fill out our online contact form or call our office at (973) 285-1100.